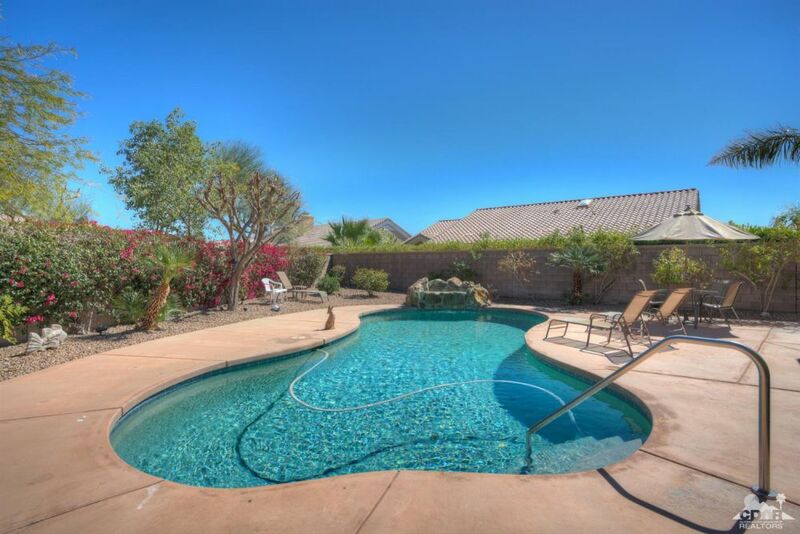 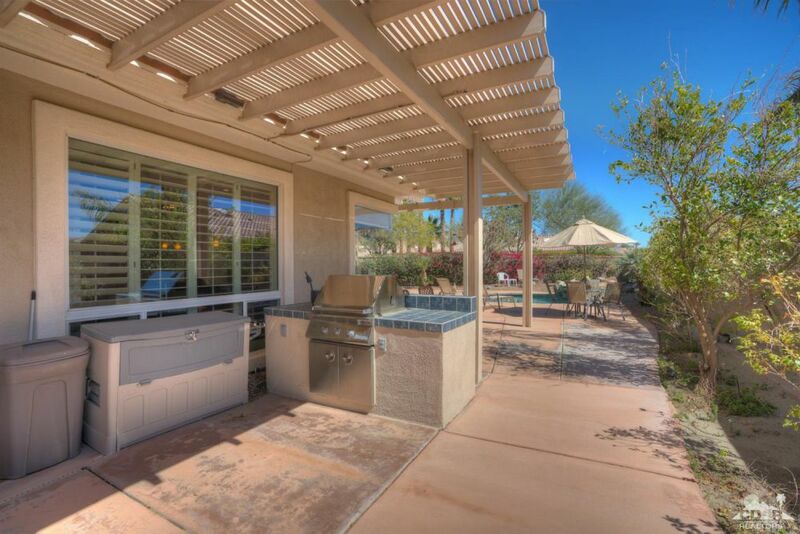 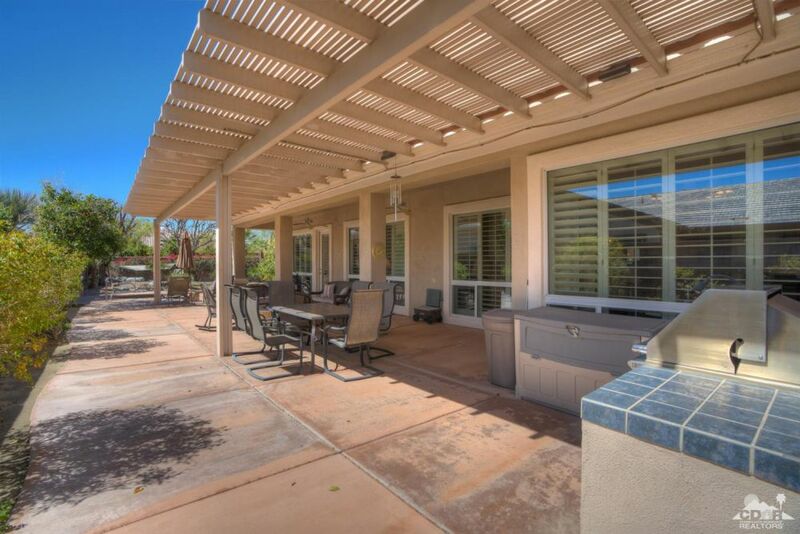 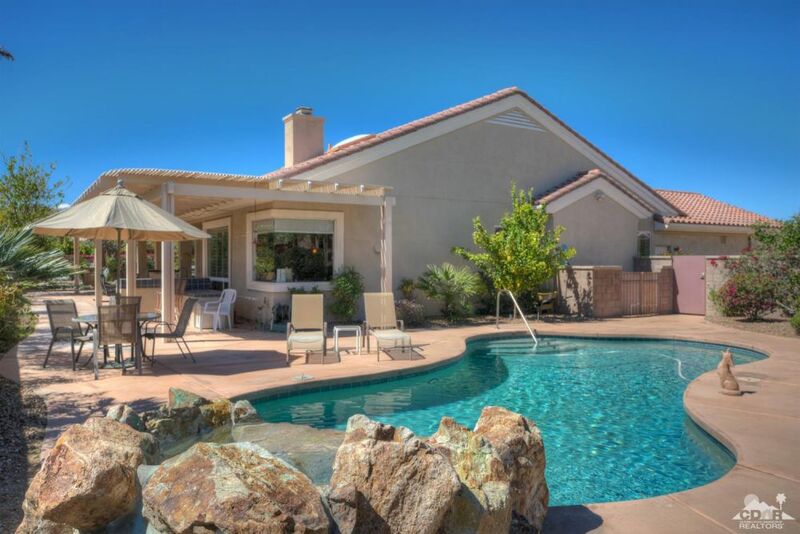 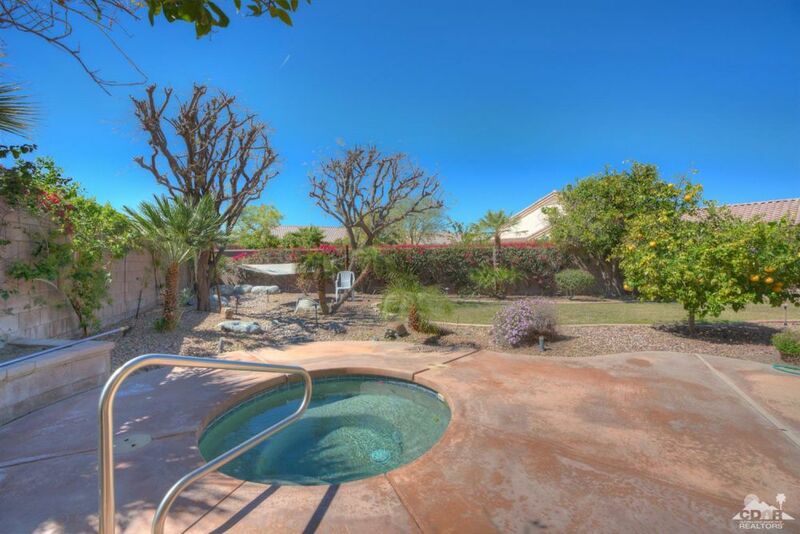 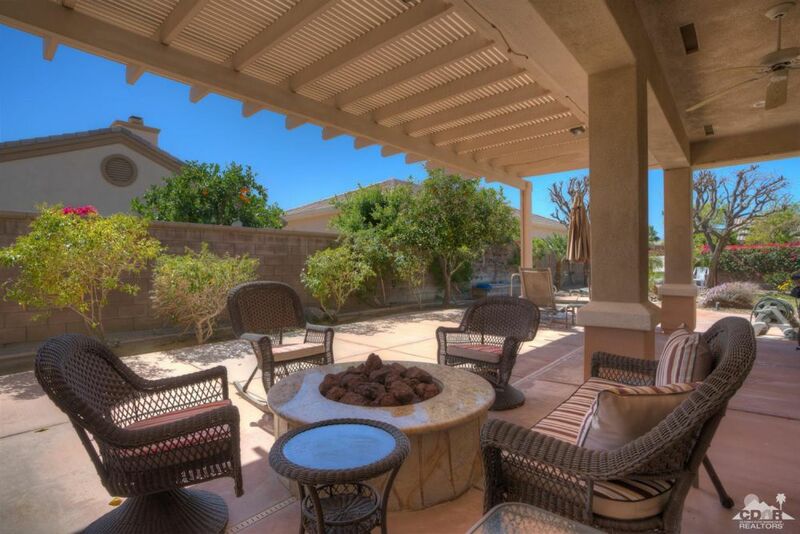 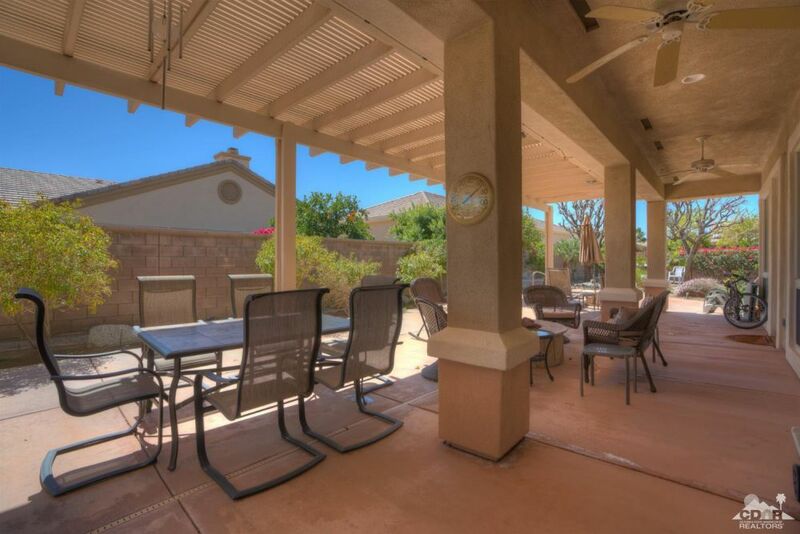 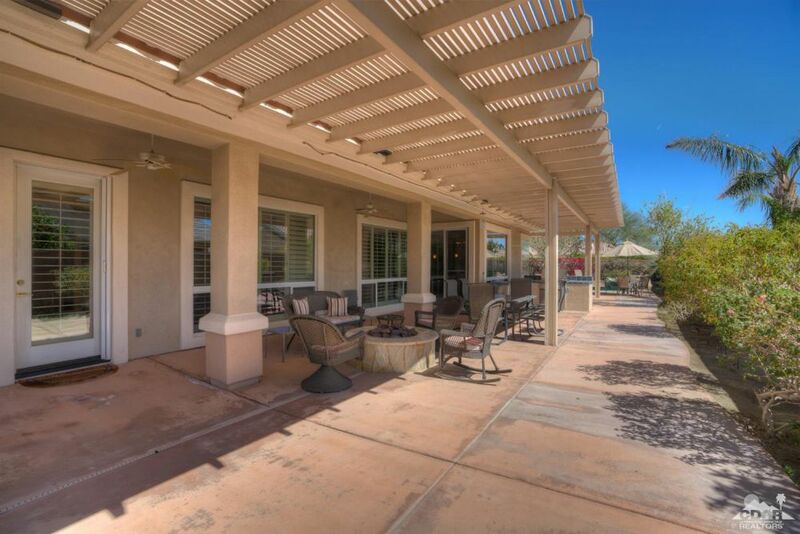 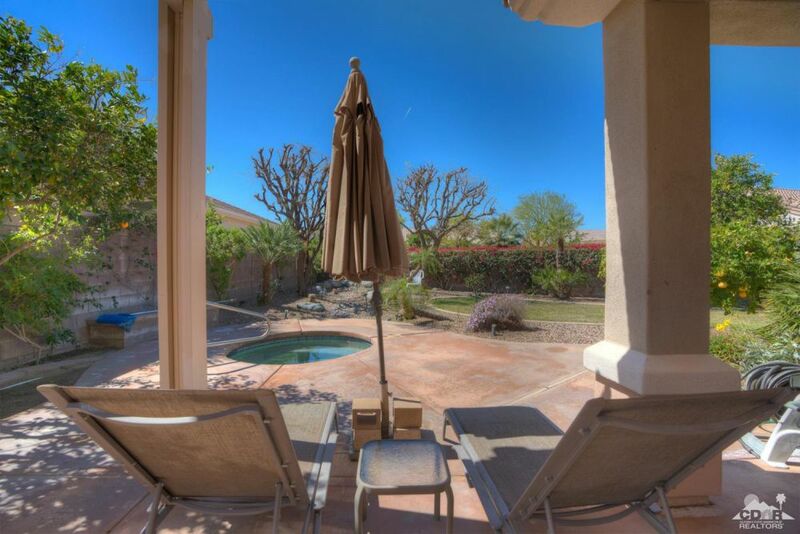 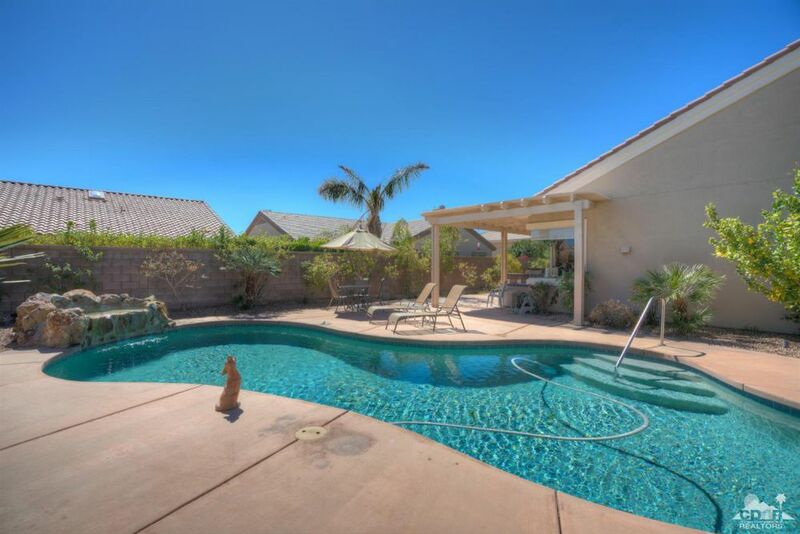 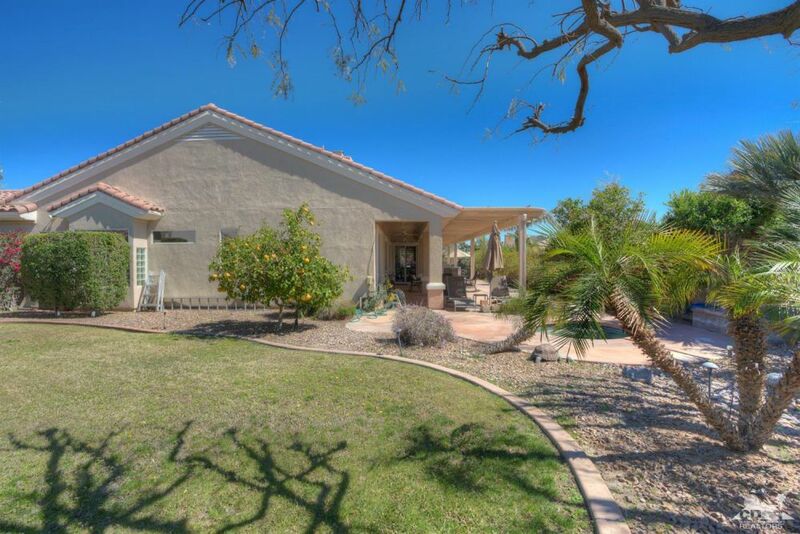 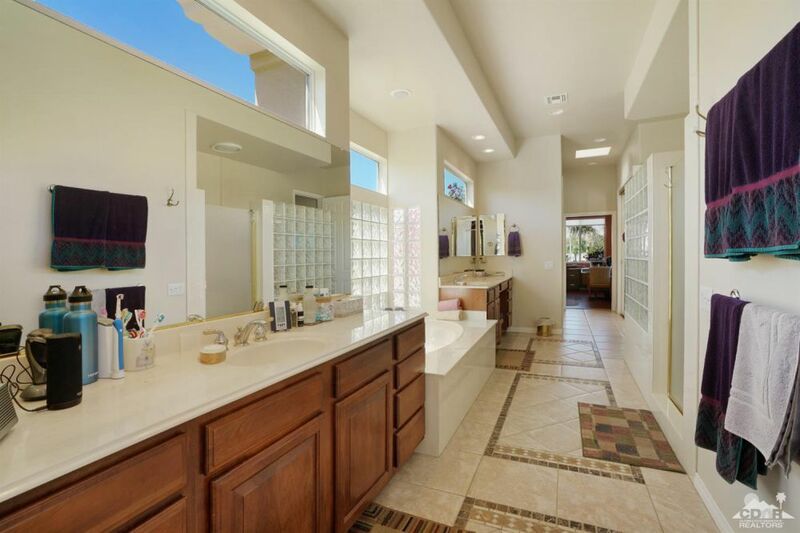 MLS #: 219004805 | Built 2002 | Lot Size: 0.2900 Acres | Area: Sun City | Price/SqFt: $ 228 per sq.ft. 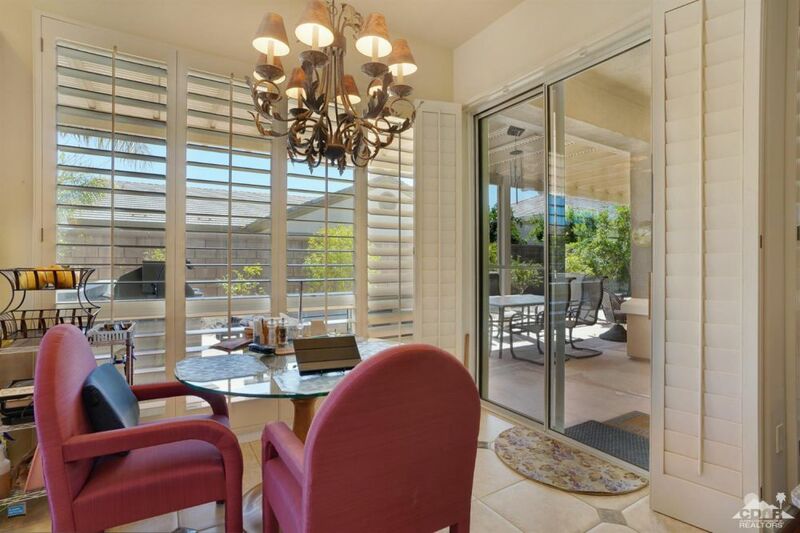 Sun City Palm Desert-Portofino. 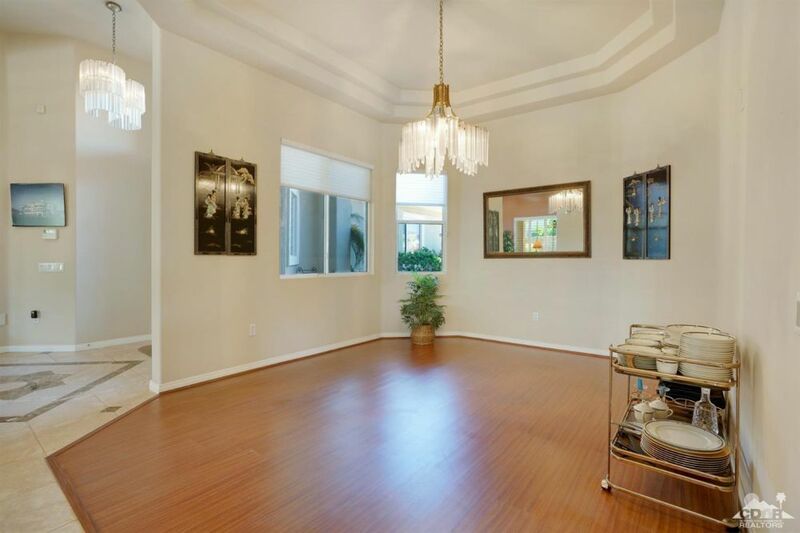 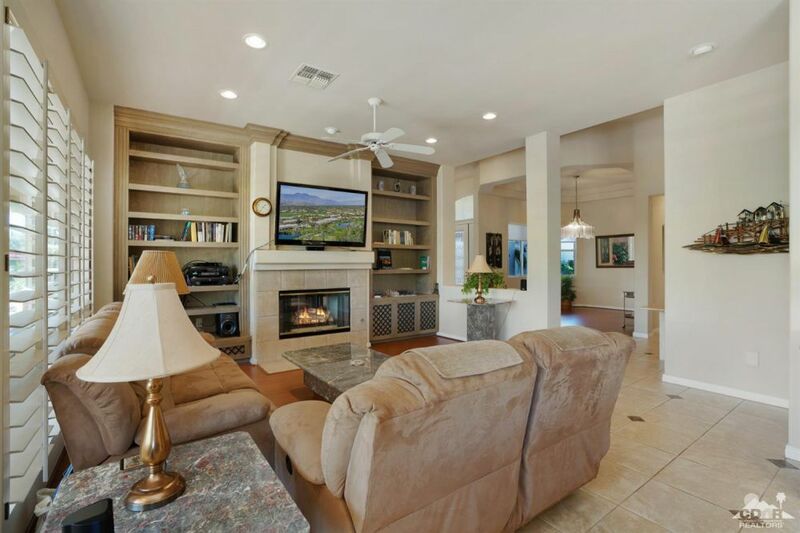 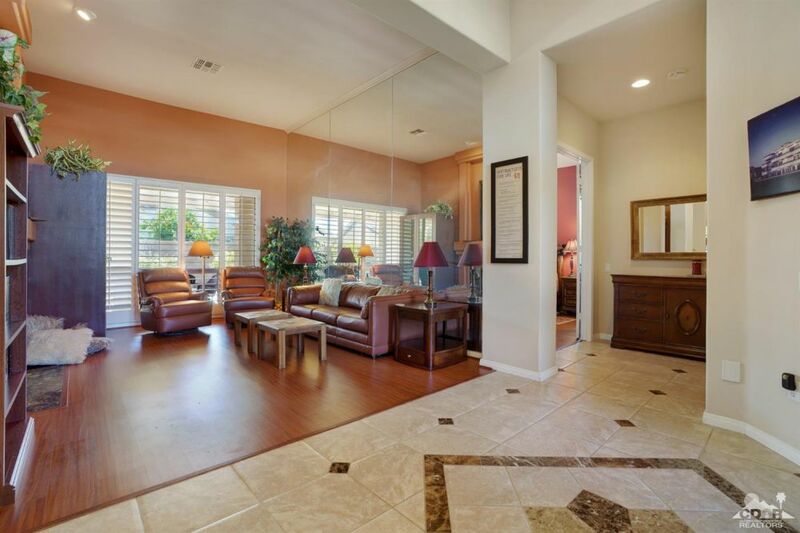 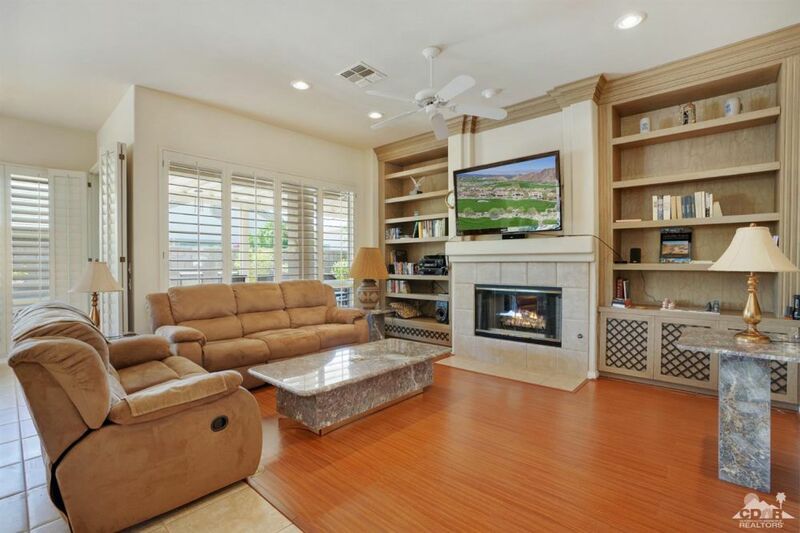 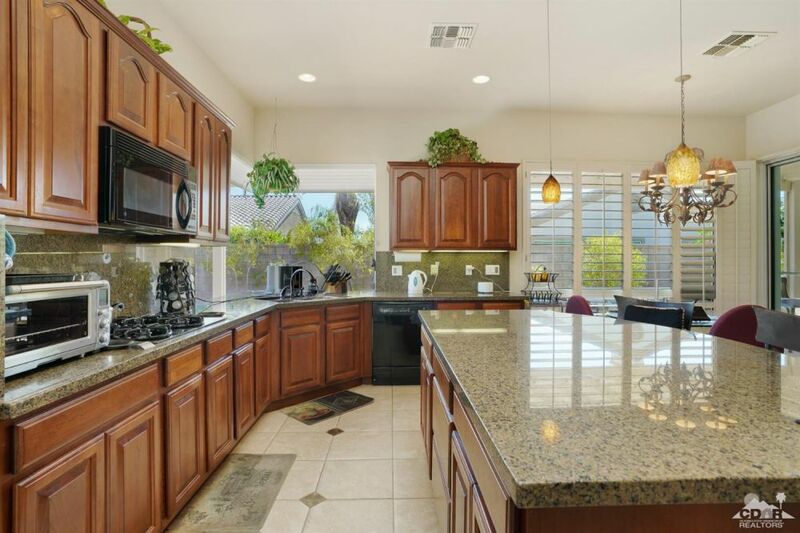 Upgraded estate model home sits on a very private, fabulous pie shaped lot. 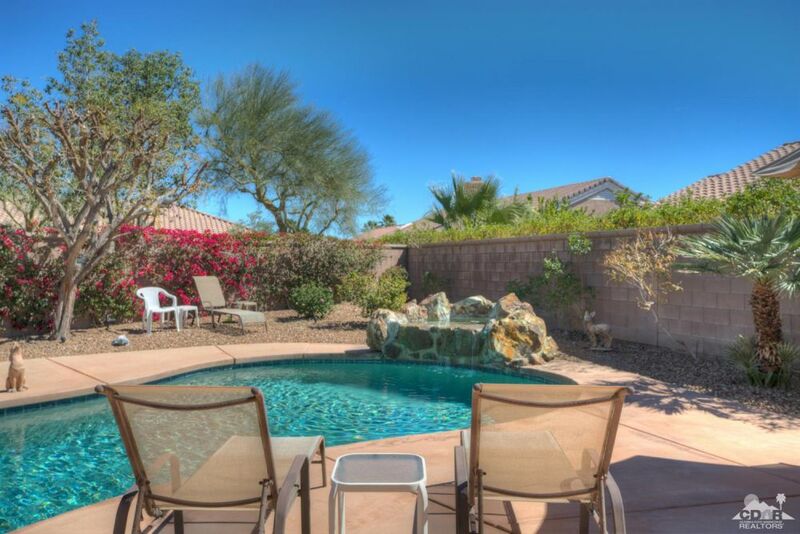 Spacious south facing rear yard features salt-water, pebble Tec pool, separate in-ground spa, BBQ island, & granite gas fire pit. 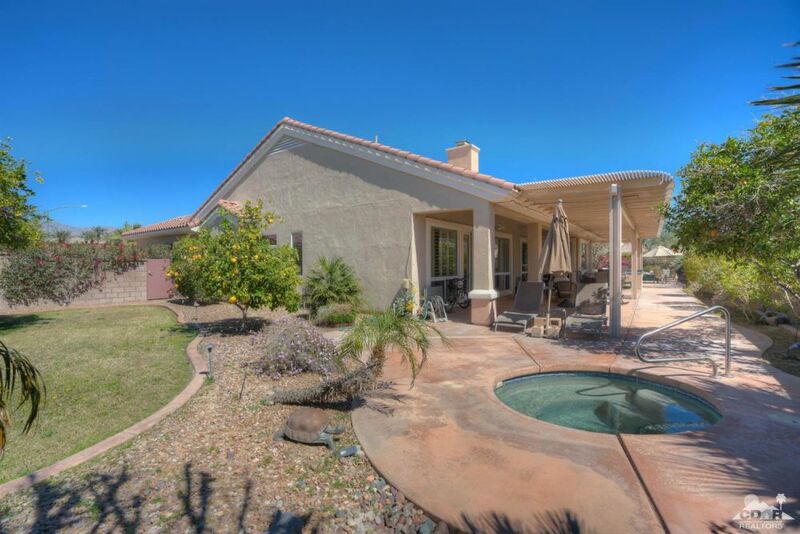 Bocce court in rear yard, plus 8 citrus trees. 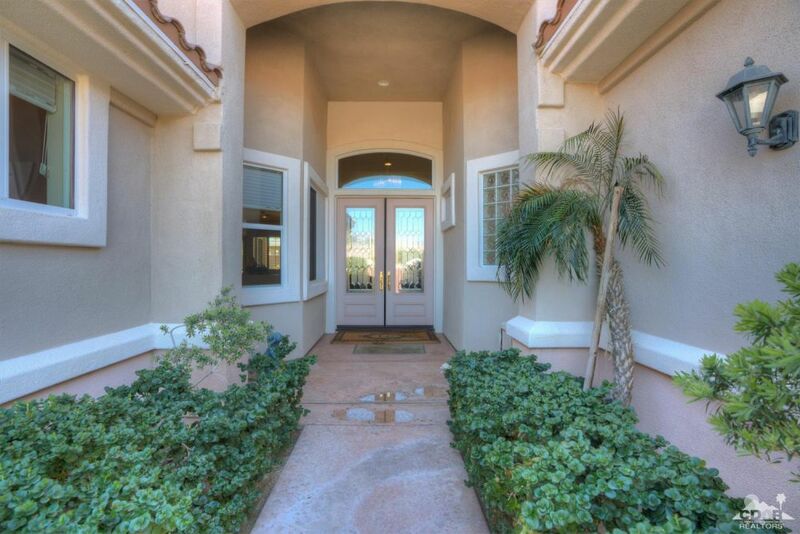 A gated courtyard & double leaded glass doors provide curb appeal. 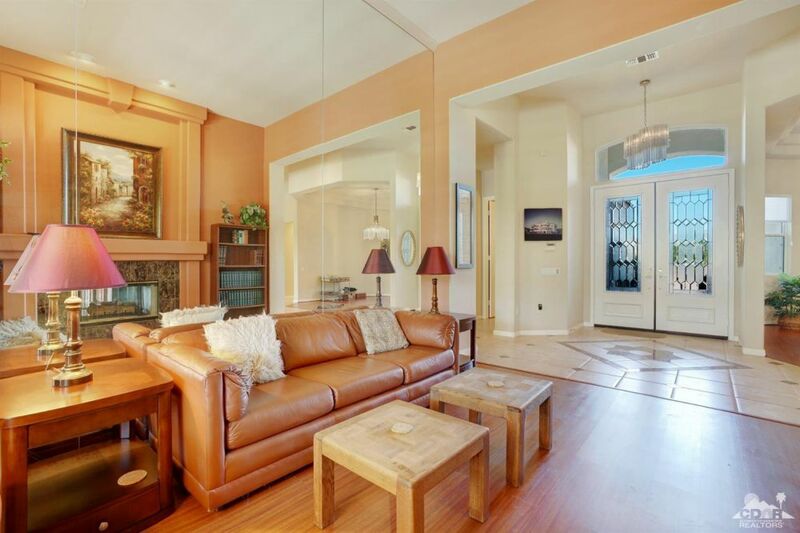 Inside, 12ft ceilings in living room & foyer. 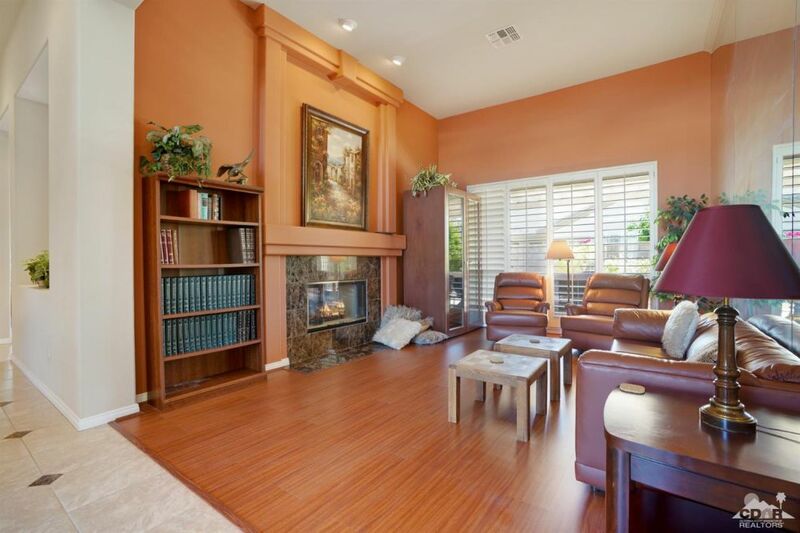 A 2-sided fireplace sits between living & family rooms. 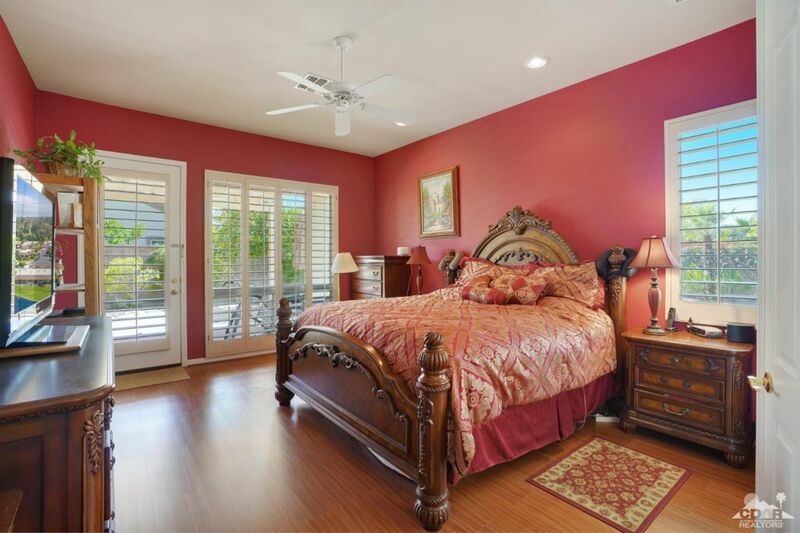 Shutters & silhouettes throughout. 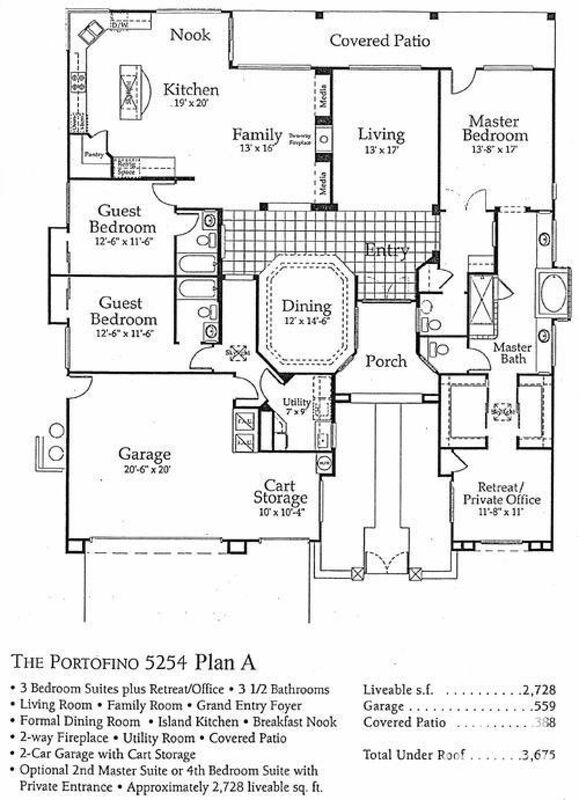 Large formal dining has an octagon shaped coffered ceiling. 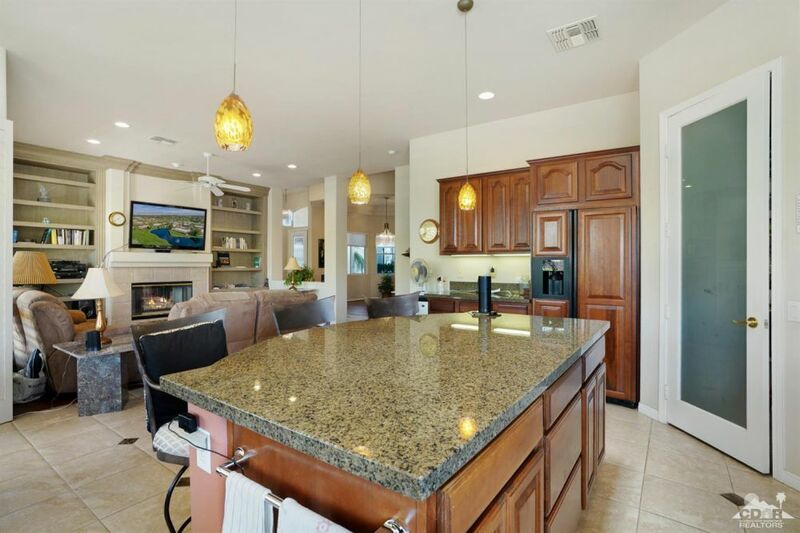 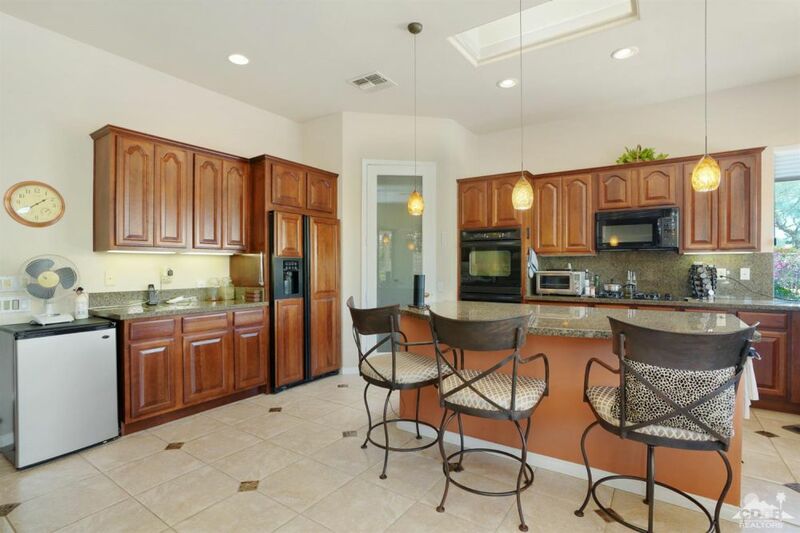 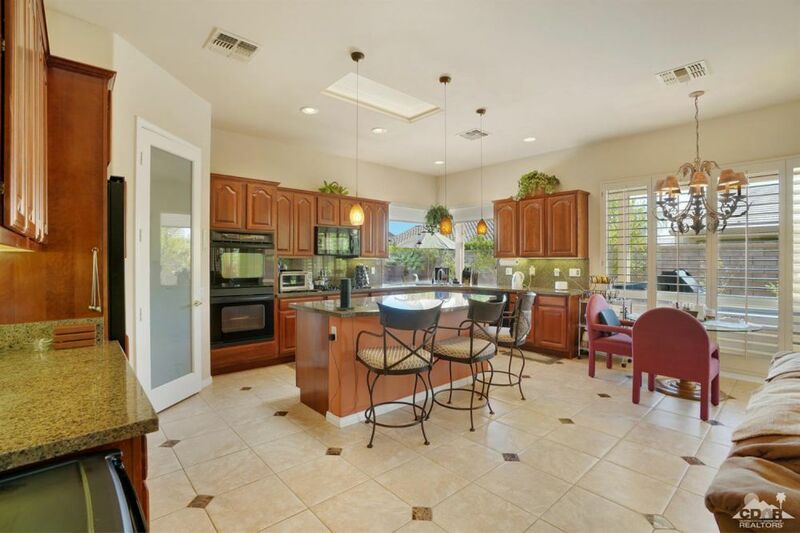 Kitchen has slab granite counters, double wall ovens, under cabinet lighting, & cherry wood cabinets. 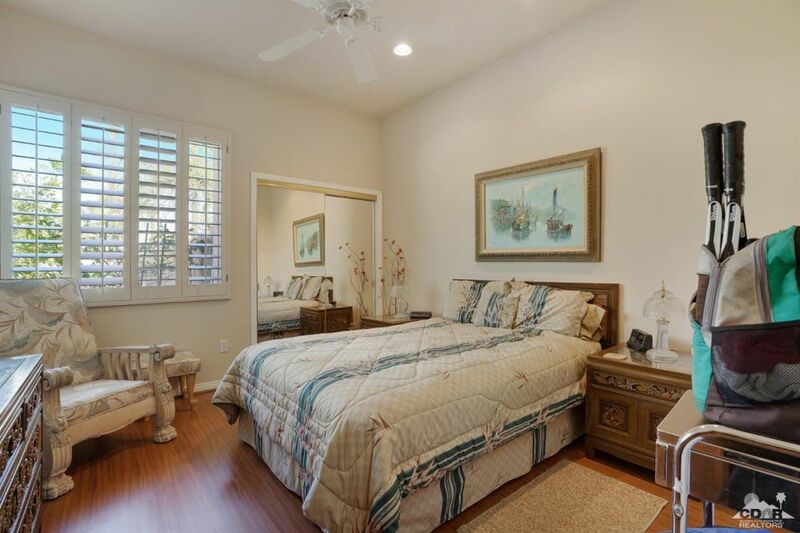 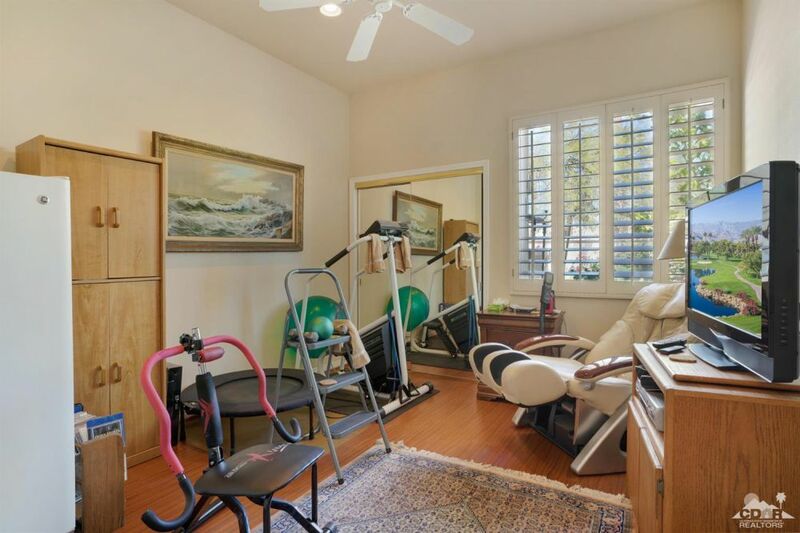 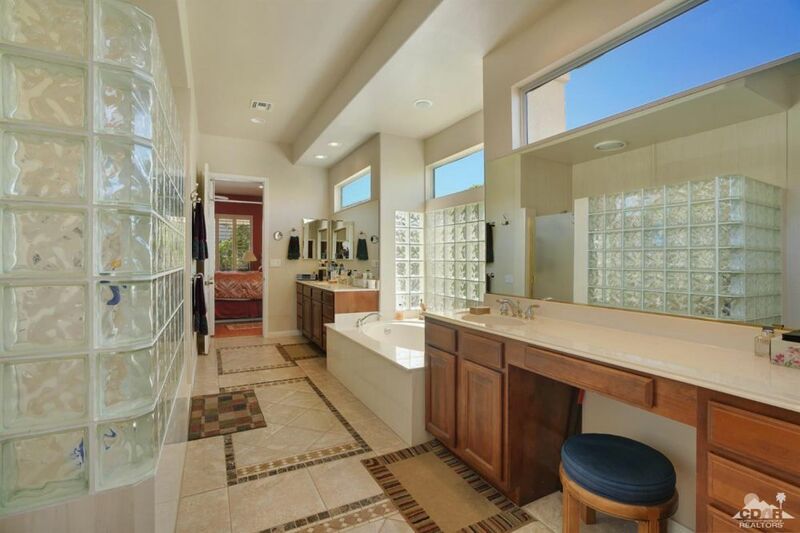 Master suite has his & hers walk in closets & private retreat w/infrared sauna & office. 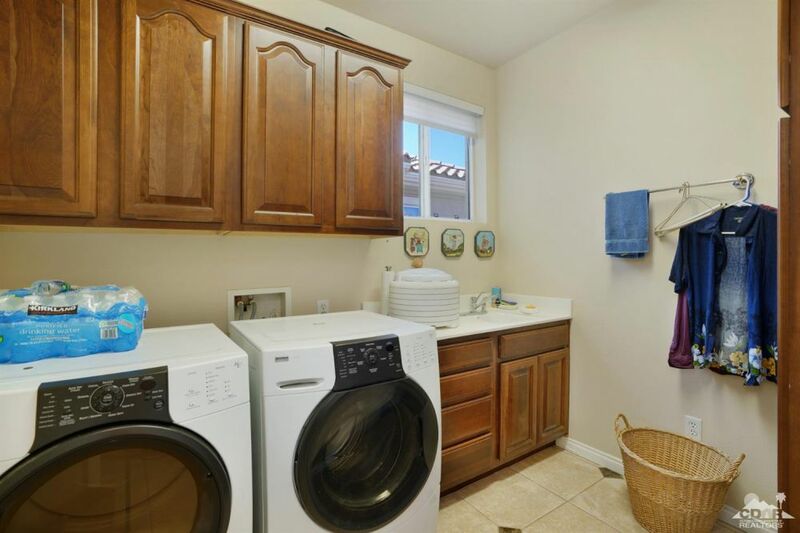 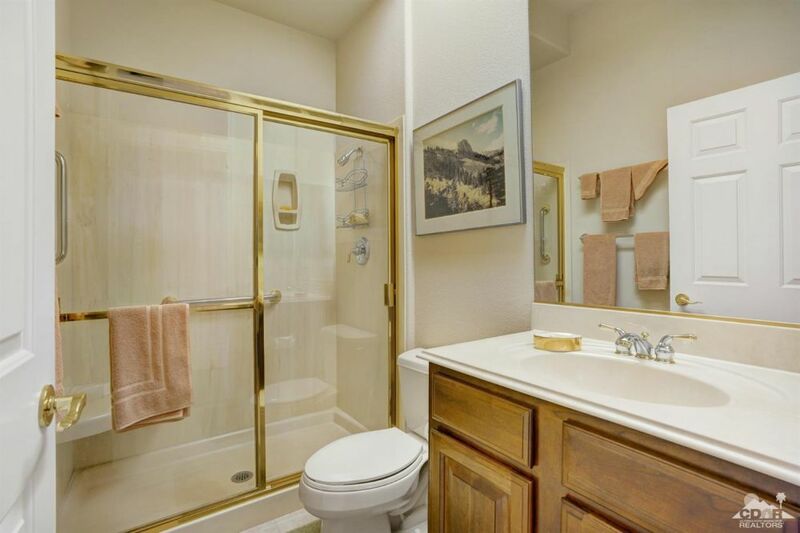 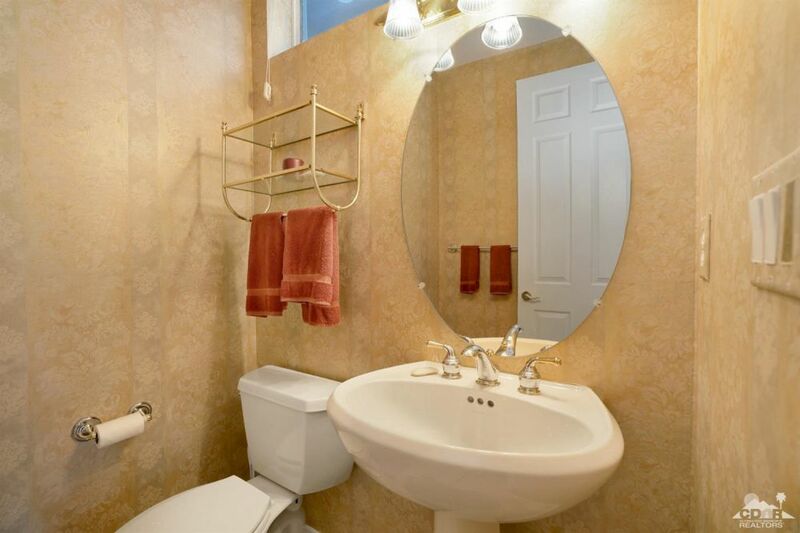 Master bath has dual sinks, stall shower & over-sized tub. 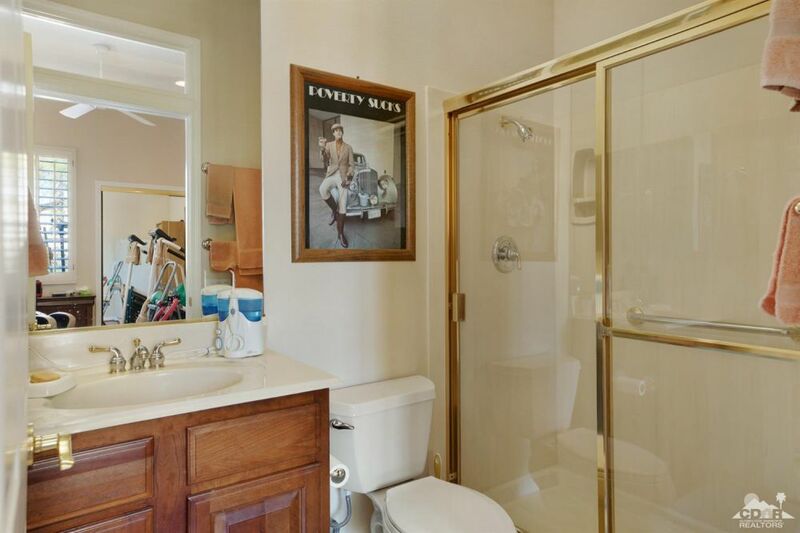 2 guest suites on opposite sides of home, each with stall shower in its bathroom. 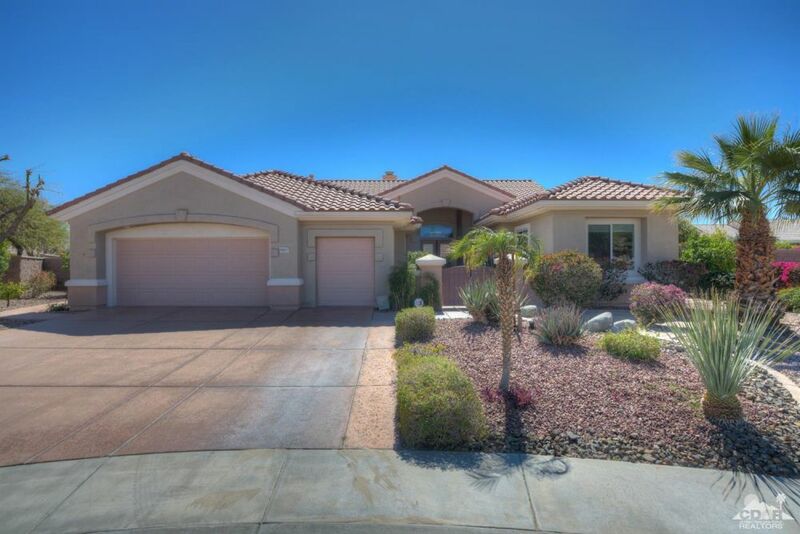 Home has an extended 2+ golf cart garage & central vac.